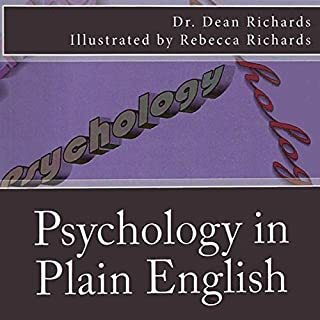 Psychology in Plain English is an accessible, somewhat folksy book describing principles of psychology and how they relate to real life. Dr. Richards uses anecdotes, personal examples, wicked humor, and explanations honed through more than 30 years and more than 700 psychology classes to covers some of his most popular classroom topics. How do we learn fears and phobias, and how can they be removed? Why is punishment not the best learning technique, or even second best? How does psychology differ from common sense? Good if that's what you're looking for. But was misleading. Not about psychology but more about the study of psychology.